AHHH. Look at smoldering gaze. 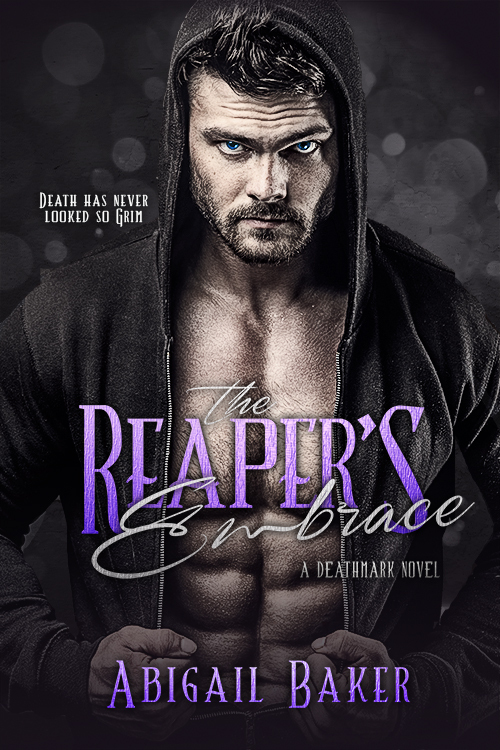 We’re absolutely loving the cover for the epic conclusion to the Deathmark series, The Reaper’s Embrace by Abigail Baker! Death has never looked so grim.